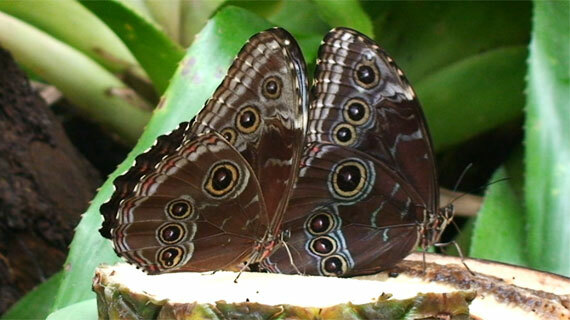 In the video: "Owl-Butterflies" you can see two butterflies that have landed to eat fruit. To protect themselves against enemies, they are positioned so that the dots on their wings together form an owl head. This is to keep enemies at a distance. Other butterflies try to disrupt this process by attacking and chasing the butterflies.